Loot Crate sale – Get 35% off on monthly Loot Crate, Loot Crate DX, Loot Wear, Loot Anime, Loot Gaming, & more subscriptions! 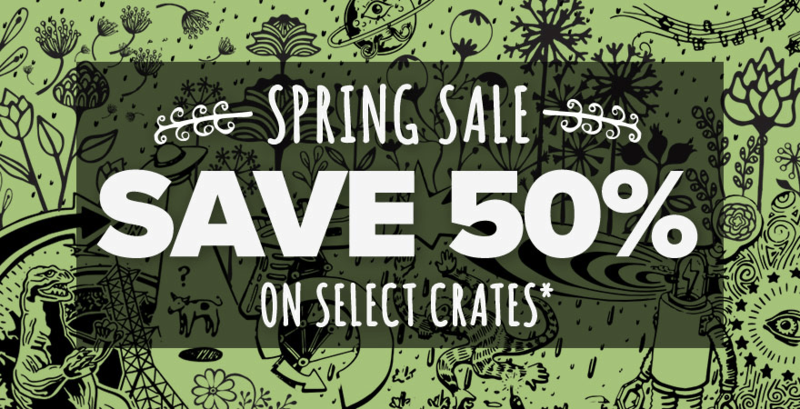 LAST CALL for the Loot Crate sale – Get 50% off on select crates + bonus items! 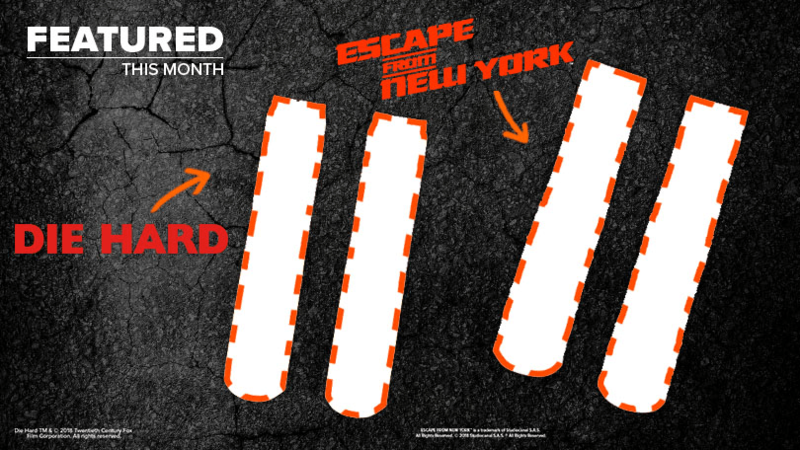 EXTENDED Loot Crate sale – Get 50% off on select crates + bonus items! 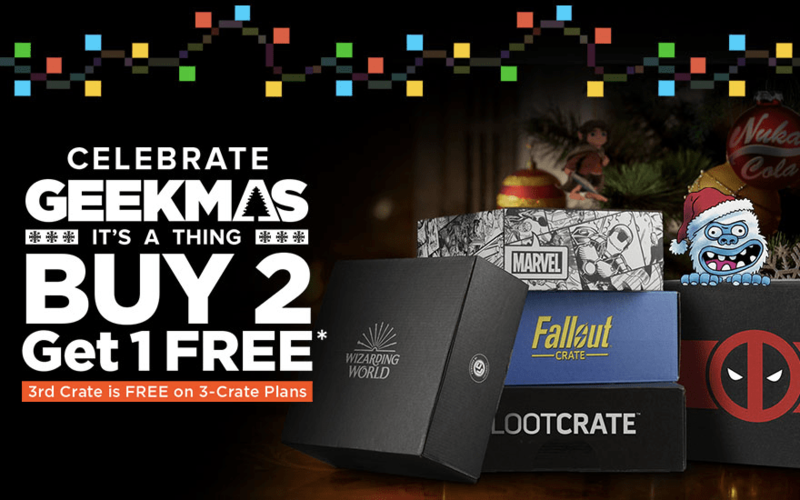 Loot Crate sale – Get 20% off on select crates + bonus items! EXTENDED Loot Crate St. Paddy’s sale – Get 20% off on select crates + bonus items! 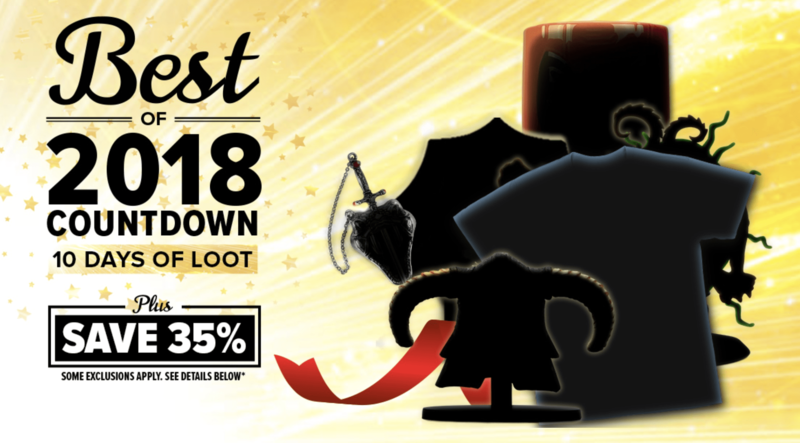 Loot Crate sale – Get 30% off on select crates + bonus items! Last Day for the Loot Crate Flash sale – Get up to 50% off on 1-3 month Loot Crate, Loot Crate DX, Loot Wear, Loot Anime, Loot Gaming subscriptions, and more! Loot Crate Flash sale – Get up to 50% off on 1-3 month Loot Crate, Loot Crate DX, Loot Wear, Loot Anime, Loot Gaming subscriptions, and more! 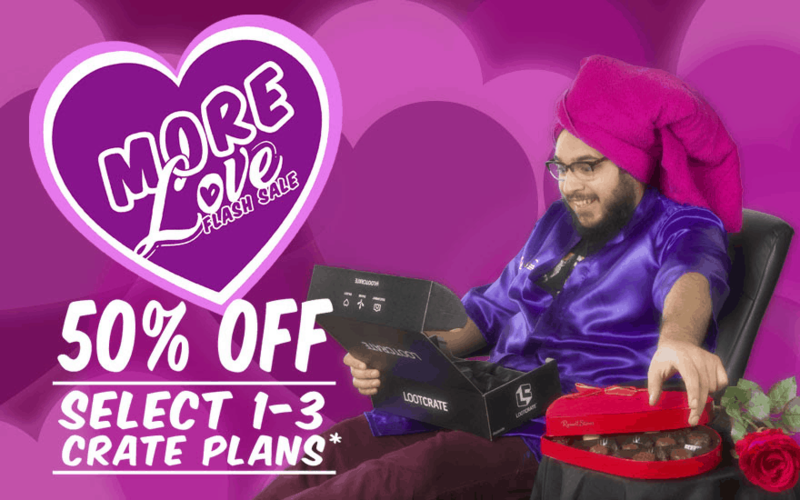 Loot Crate Valentine’s Day sale ends TONIGHT – Get 50% off on 1-3 month Loot Crate, Loot Crate DX, Loot Wear, Loot Anime & Loot Gaming subscriptions! Loot Crate has Valentine’s Day sale – Get 50% off on 1-3 month Loot Crate, Loot Crate DX, Loot Wear, Loot Anime & Loot Gaming subscriptions! LAST DAY! Save up to $35 on Loot Crate subscriptions and 40% off on Loot Crate DX and Loot Wear subscriptions! 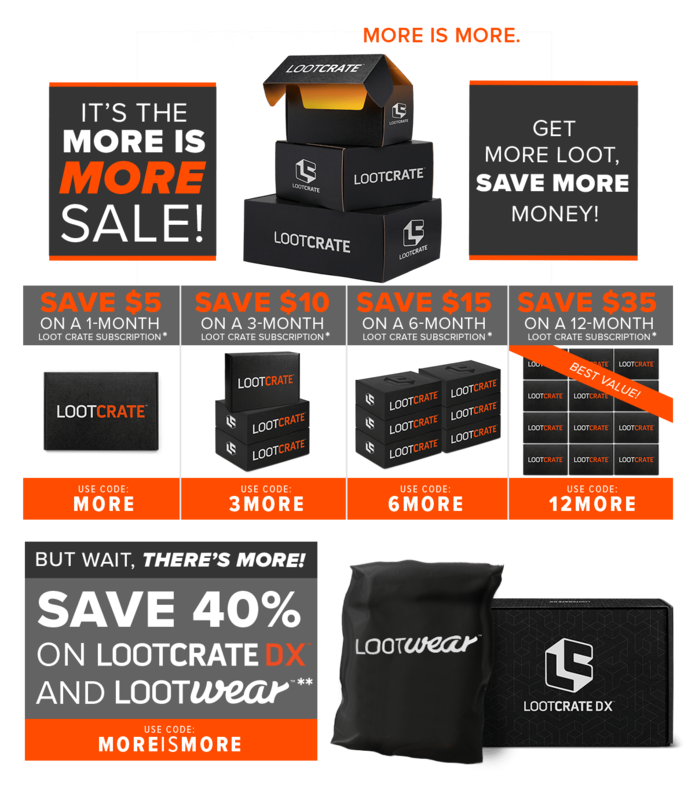 Loot Crate has a new sale – save up to $35 on Loot Crate subscriptions and 40% off on Loot Crate DX and Loot Wear subscriptions! 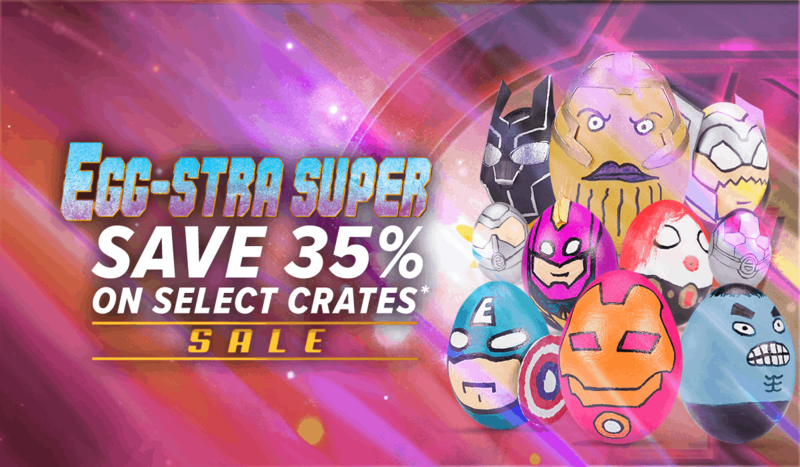 Loot Crate has a new sale – save 35% on select subscriptions! LAST DAY! Loot Crate has a new sale – save 35% on select subscriptions! Loot Crate flash sale – save 50% Off On Select Crates! Last day! LAST DAY for Loot Crate’s Geekmas: save 35% Off On Select Crates! Loot Crate flash sale – save 50% Off On Select Crates! Last call for Loot Crate, DX, and Loot Wear December boxes! Loot Crate flash sale – save 50% Off On Select Crates! Extended! 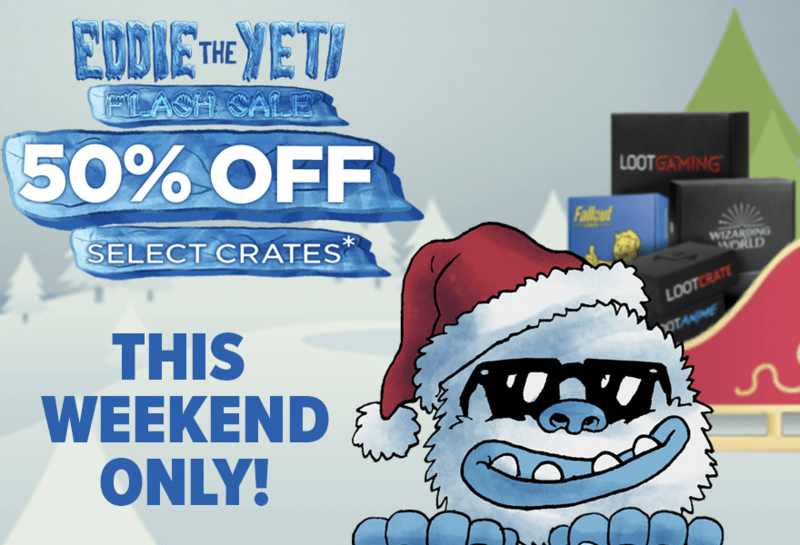 Loot Crate weekend flash sale – save 50% Off On Select Crates! Loot Crate’s Geekmas is here: Get 35% Off On Select Crates! Loot Crate’s Geekmas is here: Get the third crate FREE on select subscriptions! Loot Crate Cyber Monday 2018 Deal – 50% off up to 6-month subscriptions on MOST Crates! Loot Socks Cyber Monday Deal – 50% Off subscriptions! First month $5! Loot Socks Black Friday Deal – 50% Off subscriptions! First month $5! 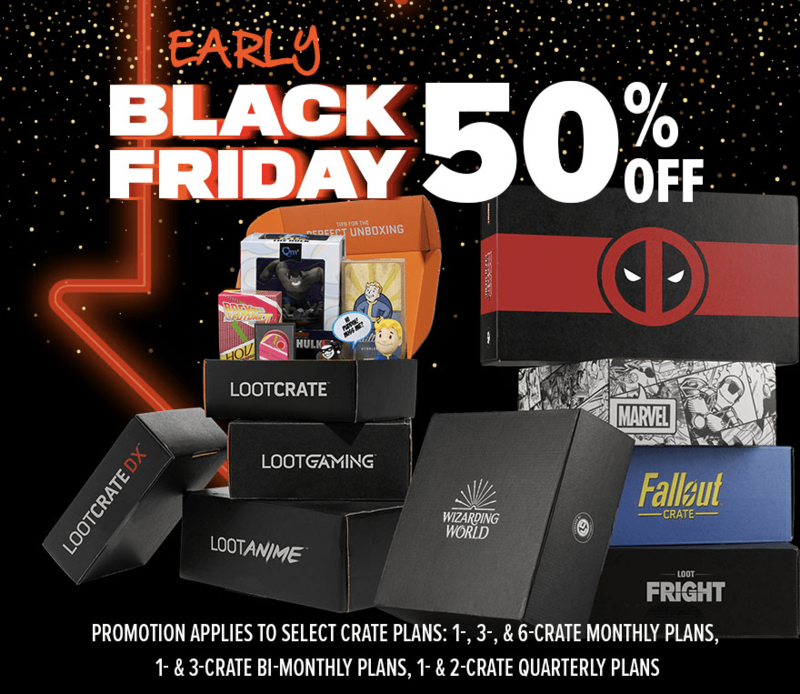 Loot Crate Black Friday 2018 Deal – 50% off up to 6-month subscriptions on MOST Crates! Get 25% off nearly any Loot Crate subscription – Core Crate, DX, Harry Potter, Gaming, Sanrio, Deadpool, and + FREE bonus item! Last call! Get 25% off nearly any Loot Crate subscription – Core Crate, DX, Harry Potter, Gaming, Sanrio, Deadpool, and + FREE bonus item! FLASH SALE! 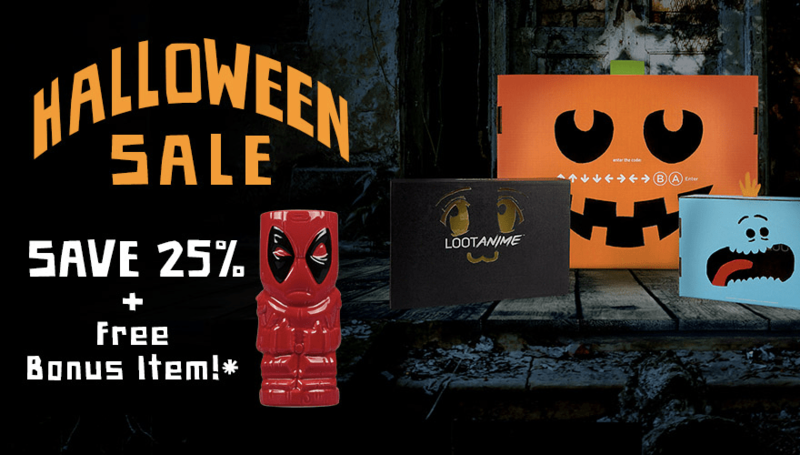 Get 25% off Loot Crate & Loot Wear subscriptions!